How Does DNS Made Easy Work? If DNS Made Easy is so easy (for lack of a better word), we should be able to explain in a minute or less, right? Start your timers… now! Your domain is just a name until you point it to website content. All you have to do is create a DNS record that points your domain to your website content. Easy, right? Now, what if you only have one copy of this record? Every person that wants to reach your website will have to go to the record to find out where your website is stored. Not only is this a huge security risk, but it could also be hurting your load times. Your local users may never complain, but if you have regional or global customers… you need an upgrade. That’s where DNS Made Easy comes in. When you add your domain to our nameservers (that’s where your records are stored), your records are instantly propagated to our hundreds of nameservers worldwide. Next time a user wants to reach your website, they will be answered by the closest copy of your DNS record faster than you can blink your eye! Easy, right? 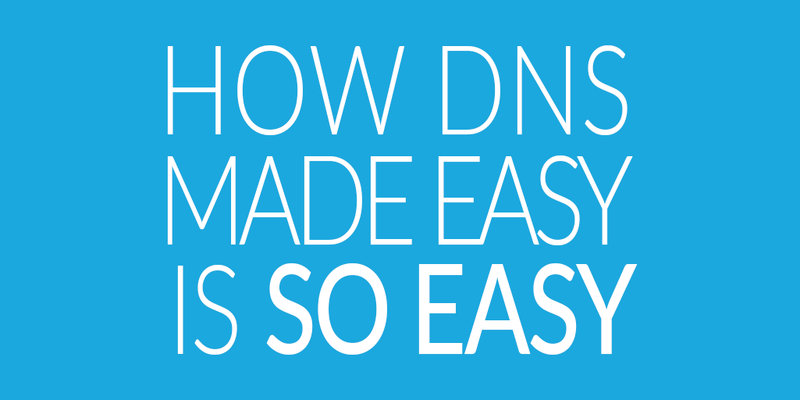 Turn on DNS Made Easy for only $29.95 a year… that’s pennies a day to be worry free for 365. Originally published at DNS Made Easy Blog.